Well for a hoteloholic like myself, the most important thing to cross off my list is where to stay when I consider visiting a city. Naturally, being a luxe girl, when I was offered the chance to experience The Francis Hotel, part of the MGallery Collection, I jumped at it. This exclusive address is a Grade I listed property, located within Queen Square, itself designated by English Heritage as Buildings of Exceptional & Historical Interest. What I particularly loved were the corridors where you could see how the seven adjacent houses that comprise the property stop and start. The staff are delightful – smiling and welcoming, the neighbouring Brasserie Blanc offered delicious fare but what I particularly loved was the courage of the decor. It exemplifies that touch of roguish elegance that I always associate with the Regency period – cleverly showcasing historical references within a contemporary style. It might not be for traditionalists, but for me, I fell for this hotel, hook, line and sinker. The design made me smile, I appreciated the subtle decor touches, and I felt welcomed and cherished. This is a joyful hotel. If you can bear to leave the property, the first of my five Bath suggestions would be to take back home a piece of Bath Aqua Glass. The then General Manager, John Willcock, showed me a wall of intensely blue glass which forms a feature of the guest lounge and mentioned that it’s still made in the city and was specifically made for the hotel. 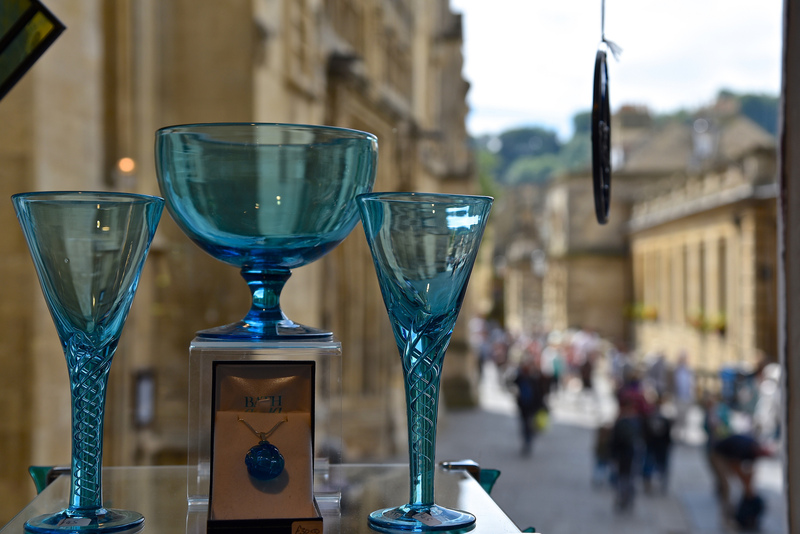 I set off therefore on a short walk to Bath Abbey and found a shop full of shimmering, deeply wonderful sapphire blue and turquoise glass. It’s almost too much to take in all at once and so difficult to decide what to buy, when faced with such an incredible sight. I eventually custom ordered a beautiful blue drop necklace and earring set and am wearing them as I write this post. Just a short walk away, you can watch the glass actually being blown at their studio. So Bath Abbey, you might say, must be worth a visit but when I was in Bath, it was sadly closed for a private ceremony for the local schools. So my suggestion therefore is to head straight for the Roman Baths before the crowds descend – almost a no-brainer if you know anything about Bath – and the Regency Pump Room that adjoins it. 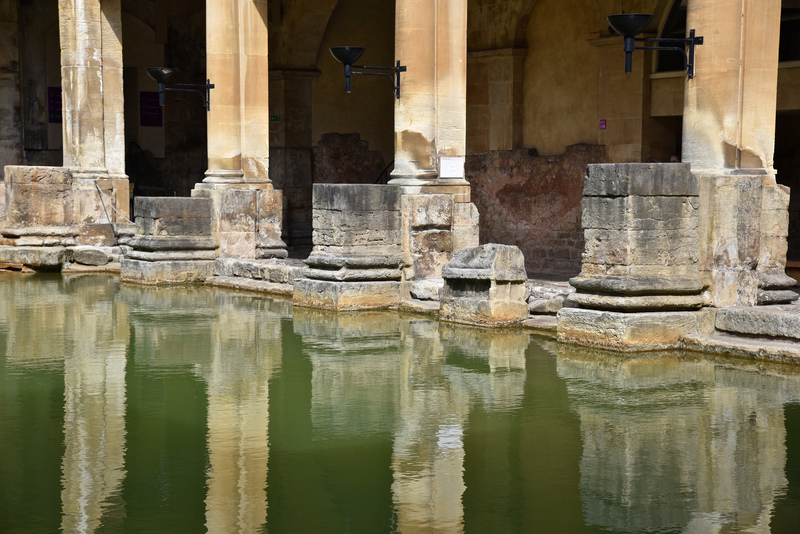 The Roman Baths are an incredible Roman relic, very evocative and very difficult to leave – one of the most fascinating Roman sites I have yet to visit. These baths were constructed around 70AD as a grand bathing and socialising complex. 1,170,000 litres of steaming spring water reaching 46 degrees C still fill the site very single day. They are still just as sociable today as your fellow tourists tend to stand beside you, in awe, equally amazed at how well maintained this complex is and of course, the conversations flow. To put it bluntly, you cannot visit Bath and not come here. It would be such a faux-pas. Alongside the Baths is The Pump Room Restaurant which is simply a Regency riot for any Jane Austen aficionado. 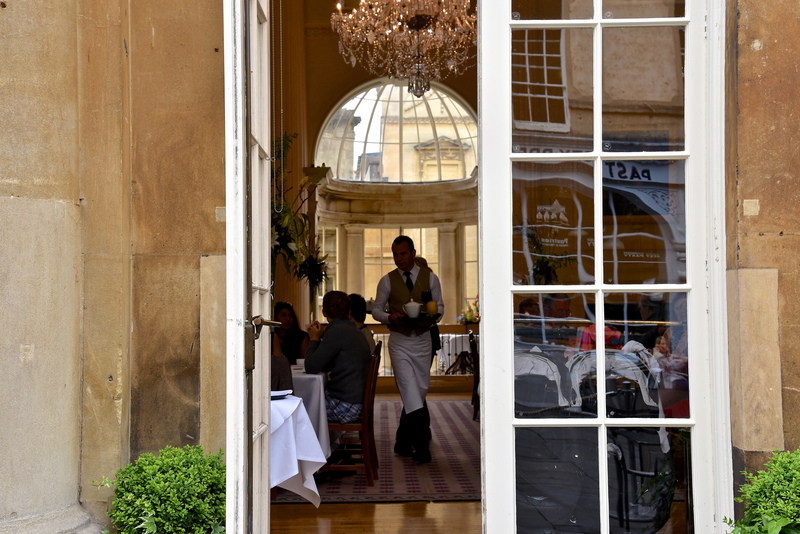 It exudes the gentle era and I opted for a toasted Bath Bun (naturally) with a lovely cup of tea, all enjoyed to the sound of the Pump Room Trio. It might be best to book for lunch or dinner but I had no difficulty in finding a space for elevenses. What’s a Bath Bun you might ask – well it started with a lady called Sally Lunn, a French emigre, who concocted a round, generous brioche bun. If you had the appetite and time, you can visit her actual premises close to the Abbey Church Yard which is both a free museum and a small tearoom. I wanted to revisit the Royal Crescent which I remembered on my first visit to this gentle Somerset city and remembered that they have a unique museum just at the end of the crescent. So my next suggestion would be to walk from the Francis Hotel across Queen’s Square, through The Circus (a beautiful Georgian circular terrace) and up to the Royal Crescent to firstly enjoy the symmetry of the crescent and the views from it. 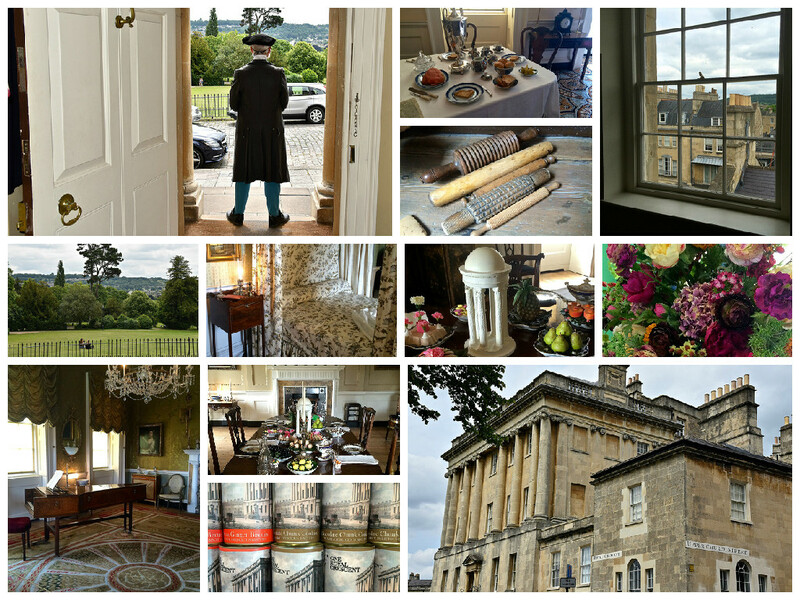 Then turn briskly into No 1 Royal Crescent where your historic tour starts with a greeting from a a period-dressed doorman which sets the scene perfectly. It’s decorated and furnished as it might have been during the period 1776 – 1796 and the guides give a very insightful commentary on what you might have experienced if you “took a house for the season”. 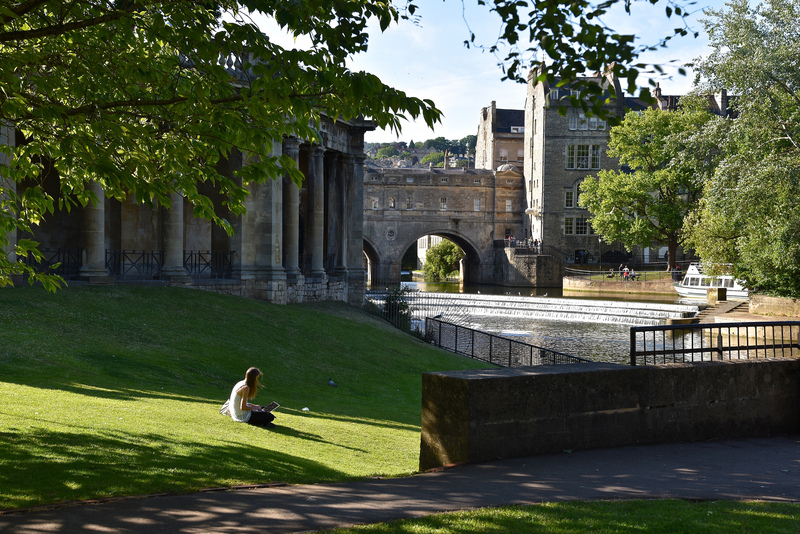 Finally (although there is so much to see in this lovely city, it’s almost a travesty to stop at five) – visit the Pulteney Bridge, best seen from Paradise Gardens which runs alongside. Crossing the River Avon, it was completed in 1774 and connected the city with the newly built Georgian town of Bathwick. A Grade 1 listed building, it was designed by Robert Adam in a Palladian style and now seems – a little maddeningly – to be the number one selfie draw of the city. A thoroughfare which was subsequently enlarged over the years, Pulteney Bridge was envisaged as an elegant structure lined with shops similar to the Ponte Vecchio and the Ponte di Rialto. If you’re an adopted Londoner like me, when looking at it, you can certainly imagine what London Bridge must once have looked like. 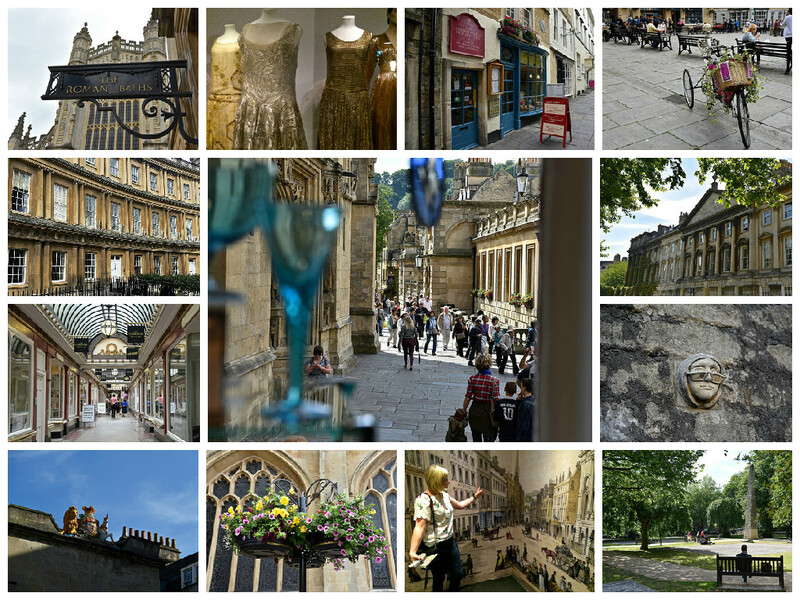 I think you can tell, I loved visiting Bath and thank the Francis Hotel for re-introducing me to one of the UK’s most perfect and genteel of cities. I won’t leave it so long again. 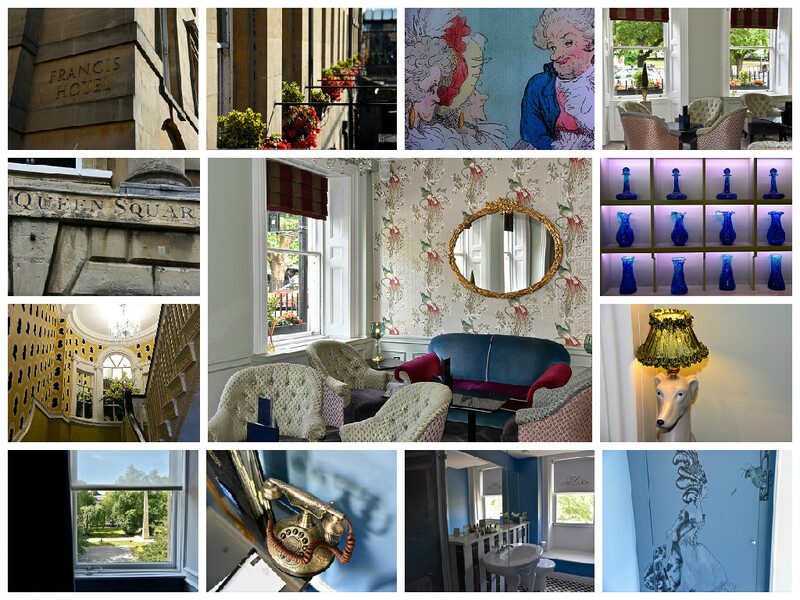 Francis Hotel Bath – MGallery Collection, Queen Square, Bath, BA1 2HH – reservations call 01225 424 105 or visit their website. 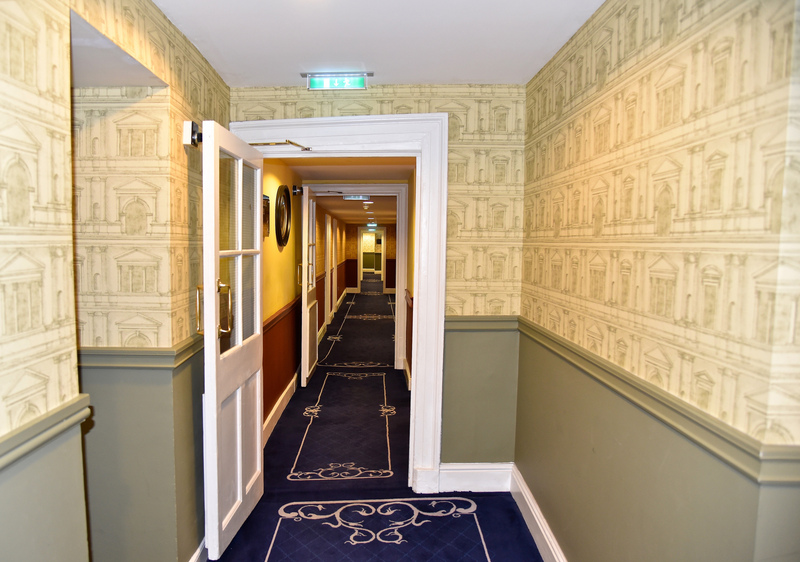 The rates for the Feature Rooms range from £160 – £325, room only – subject to change – correct at the time of writing. Follow them on Twitter: @FrancisHotel and on Facebook. Follow Magellan PR on twitter: @MagellanPR / on Facebook: MagellanPR / on Pinterest: Sue Lowry / on Google+: Sue Lowry & MagellanPR and on Flickr: Sue Lowry. For more information on our company, visit www.magellan-pr.com. Follow our other blog focussing on travel in the South of England – A3 Traveller. On twitter, @A3Traveller.